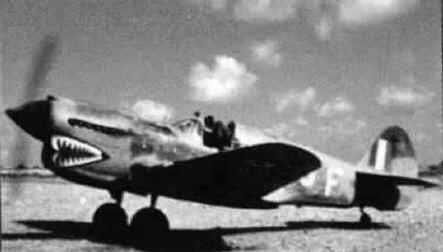 During a period in 1943 Squadron identification letters and wheel discs where painted pale blue not white. WESTERN DESERT. 1942-01. SQUADRON LEADER CLIVE "KILLER" CALDWELL AND PILOTS OF THE "SHARK" SQUADRON R.A.F. 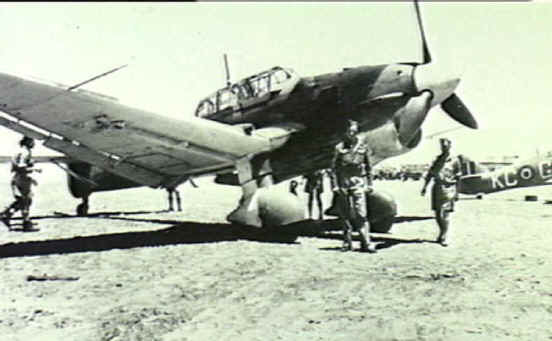 FIGHTER UNIT IN THE WESTERN DESERT STANDING BESIDE THE NOSE OF THE 112 Sqdn AIRCRAFT. Sdn/Ldr Clive Caldwell (Aus), William Edward Carson, 404168 RAAF (Aus). 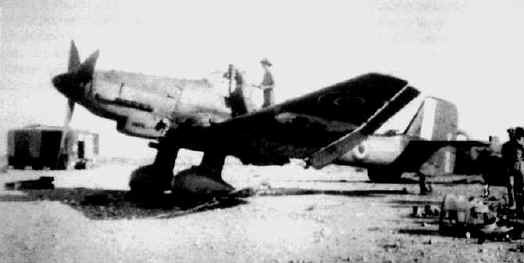 Sgt Andy Taylor (Aus), P/O Nelville F Duke, Humphreys, Flt Sgt Roy Arthur Drew, 407415 DFM (Australian) KIA, on wing, Plt Off Henry George Burney, 402343, RAAF (Aus, KIA). 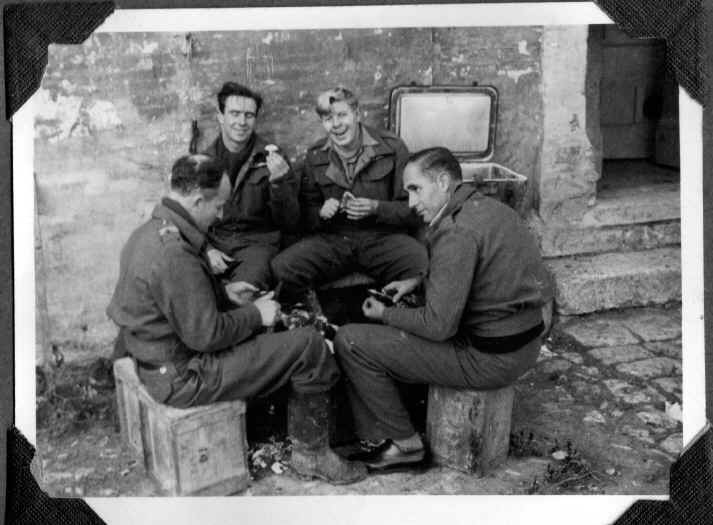 Sgt A T Donkin (NZ, KIA), R M Leu (POW) Flt Lt E Dickinson (KIA) and Sgt Kenneth (Kit) Francis Carson, 404233, RAAF The Carson boys where brothers. 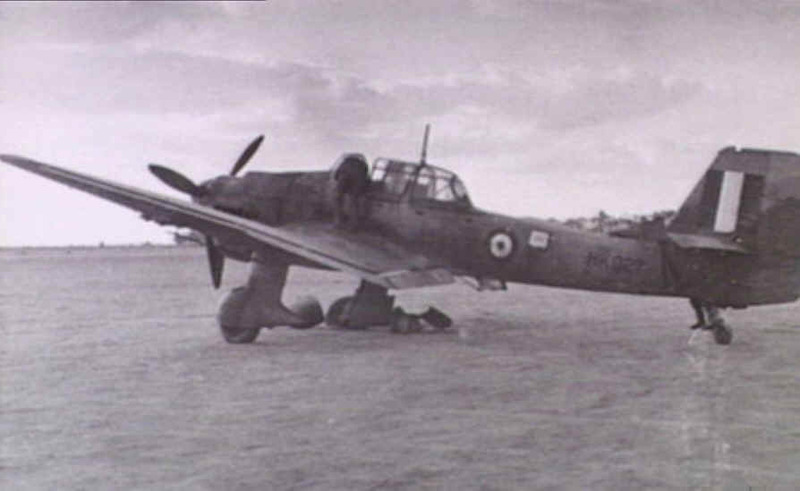 GA-F, FL714 Recce and bombing of Motor Transport, GA-F, 6-Apr-43, on this day going by his log book entry this plane was flown by and the regular mount of Sgt John Henry McDermott, service number 776098, may have been the plane WD Brown flew on this date Kairouan, Tunisia. 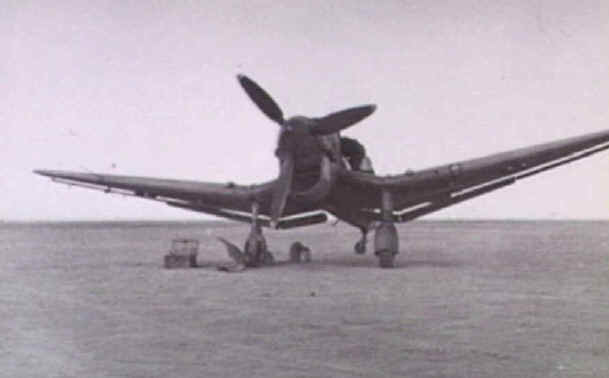 c. 18 April 1943. 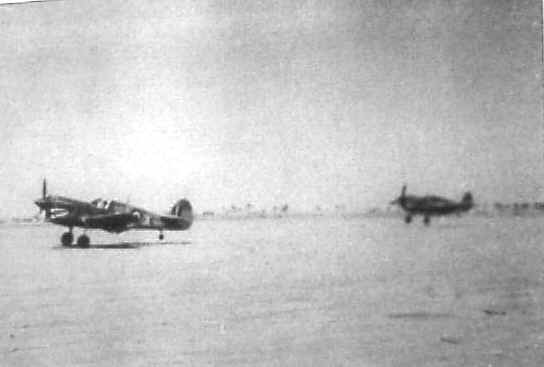 A Curtiss P40M Kittyhawk fighter bomber Mark III aircraft (FL714, FR520 became the regular mount of Sgt. McDermott and FR803 all had code GA-F), of No. 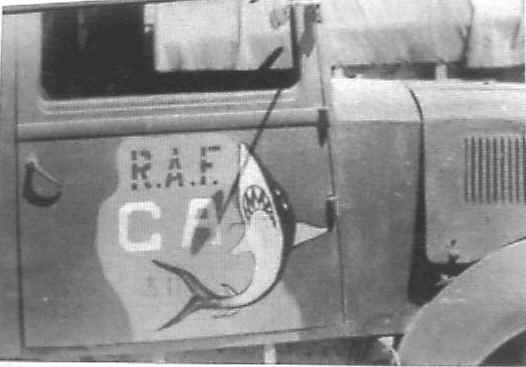 112 Squadron RAF, which adopted the shark's head motif, takes the air. 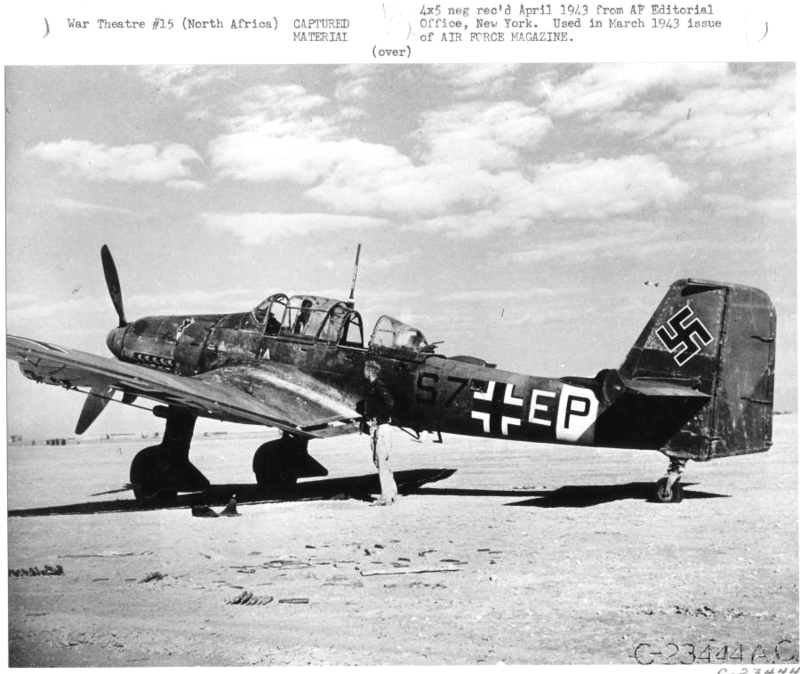 This photo due to dates mentioned is most likely FL714. 112 Squadron Ambulance Army type Austin with a reconditioned motor , on 19th August 1944, it was sent to M.T.L.R.U. (Motor Transport Line Repair Unit ?) for repairs when a front wheel fall off, while turning a corner. Attached is a photo to put on the site, from Dad's album. 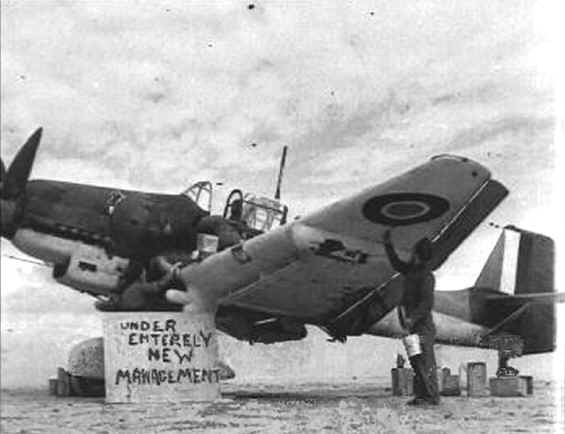 I'm not sure who took this, as it seems various blokes on the squadron shared each others photos. The caption in dad's album says: "Self and Happy Ahern, Cox (d'cd) and Hooper. Mushrooms. 11/43." As you can see, they are all engaged in cutting up some mushrooms they've found. 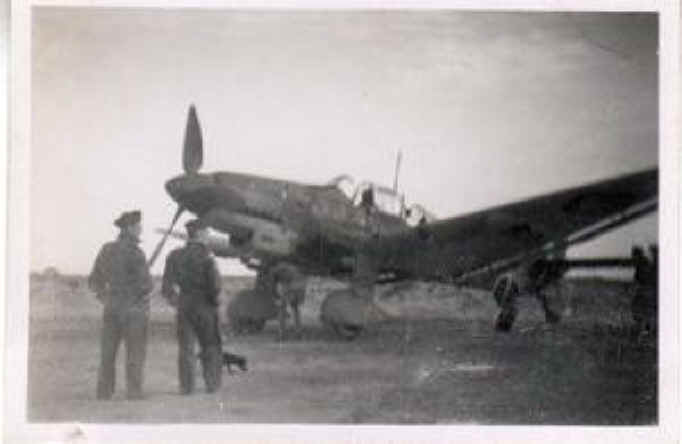 A constant activity on the squadron was scrounging for fresh food. So, no wonder they look pleased with themselves!